> Forcepoint > The GDPR is Here. Are You Ready? The EU General Data Protection Regulation (GDPR) is now in effect, requiring global organizations to significantly address how they process and protect the personal data of EU citizens. 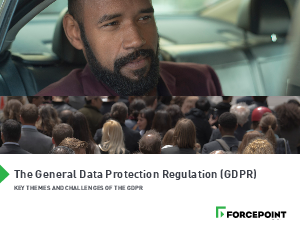 Yet, Gartner predicted, “Less than 50% of all organizations impacted will fully comply with GDPR.”* Confused about the requirements and what next steps to take? Read our GDPR eBook to learn about the regulation and its key requirements.